When I received my newly released Persona 3 Portable I noticed I got quite bit of the western releases of the Persona series. Since this series in my opinion is one of the best gaming experiences I had I will do an over view of the items I own. First up is the enhanced re-release of the original Persona game for Sony's PSP. 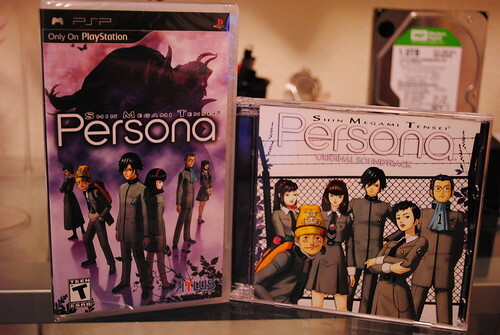 Like the rest of the series, and many of the Shin Megami Tensei series as well, Persona is set in contemporary Japan and involves the recruitment of demons through various means. These involves, appealing to their personalities, bribes, coercion, and several other options. The first Persona was released in the West as Revelations: Persona on the PSOne. The original game when released was butchered a bit. The setting and some of the characters were changed to reflect a western American city instead of Japanese location as well as the removal of content from the game. When Atlus released the PSP version all the removed content was restored and remained faithful to the Japanese original. Several tweaks to the game itself such as the interface, a new localization and new music were added. Further more, a complete soundtrack was included at the time of release. If you want to know how this series started I find the PSP release superior in every way to the PSOne original. The second entry in the series is quite an odd occurrence as it was split into two parts. The first, Innocent Sin, never saw a release on the west and remained unavailable in English unit a fan localization effort was completed. 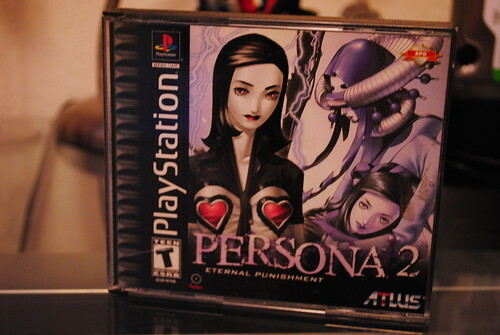 The second part, Eternal Punishment, was released in the west and deals with the resulting aftermath of the events of the first game. This second part involves an interesting mechanic, within the game there are rumors some of which you can spread. The more people believe the rumors it will eventually become a reality. Another interesting bit is that Eternal Punishment came with a an extra CD that briefly shows the creators speaking about the game and an anime trailer. 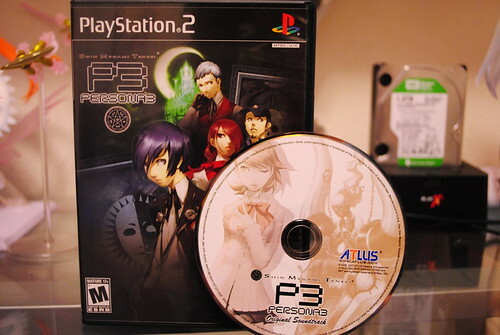 With the enhanced release of the Persona on the PSP and the recently released P3P I hope Altus will release an enhanced version on the PSP that includes both parts of Persona 2. 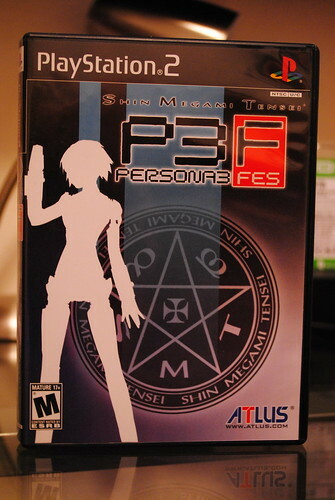 Then came along this precious gem, Shin Megami Tensei Persona 3. I first learned about this game in a random trailer I saw way back in 2006. Several things jump out at me at the time. The first was the music by Sh?ji Meguro, his tracks which ranged from rock, jazz, pop, even rap and orchestrated tracks. Many of those are voiced, this songs is one would expect from a regular released album not a soundtrack for a game. The second was the modern setting up until that point all other RPGS I had played were set in either medieval fantasy or steam punk fantasy, the location an characters designed to follow this setting also grabbed my attention right away. Most importantly though was the game mechanics, while this game lacks the negotiation aspects of contracting demons it gained the Social Links. With these you would meet and form a link with several people through the game, the more you explored the bonds and the stronger they became directly tied to how strong the different personae you could acquire became. It was all of these design choices, plus well developed characters and a unique plot that made this game stand out from the crowd and became a sleeper hit for most people. When it was relased Atlus went all out and included a hardcover art book for the game as well as a soundtrack featuring selected tracks from the game. Both of these inclusions drove the point more for me, how different and unique this game was. Later on the Japanese got an extra chapter of the game, an epilogue featuring one of the main game's party member as the main character. This epilogue dealt with the characters reaction and coping to the final events of the game. When I heard about this I was saddened as usually this type of stuff is not released on the west. However, Atlus being Atlus went and not only released it but was included as part of a tweaked Persona 3 that had more content than the original instead of a stand alone release. 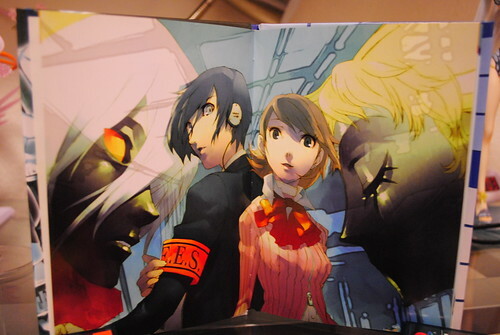 With that said, many suggested that P3:FES is a perfect intro into the series and I completely agree with that. 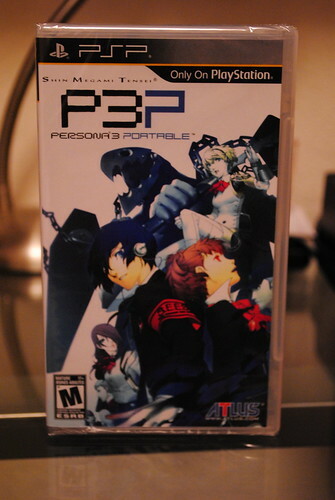 Persona 3 now has a third release in the form of Persona 3 Portable. While the game was modified a little due to the difference in platform it's still the main game as in the original with several additions. The most noticeable is the ability to play as a female main character that while keeping the main storyline intact it offers a different experience compared to a male main character. Another notice able add on is the choice to control your party as in the P3 and FES the party was AI controlled and made a good job for the most part. 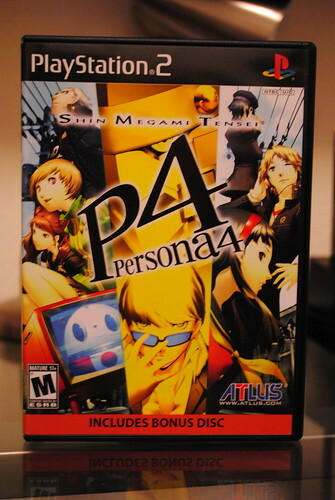 Finally, we got Persona 4 which was released quite fast compared to the rest of the series. Persona 4 took the game play and design of Persona 3 and further improved over it giving you a similar but more relaxed experience and giving you a change of scenery with more rural setting when compared to the rest of the series. 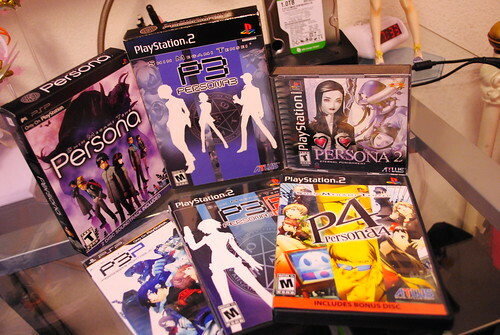 I forgot to mention that Persona 3 and 4 both occur over one year. Each day you have a limited amount of chances to spend time doing a variety of things, going to school, fighting in dungeons, exploring the social links, etc. Persona 3 is a really big time and task management exercise, Persona 4 on the other hand is more relaxed letting you have more time to other things outside battle. Small and quick over view of the series, with plot summaries intentional left out for the most part. I think the Persona series is comparable to the bigger RPG franchises such as Final Fantasy and whatnot as well as in my opinion in some respects better.